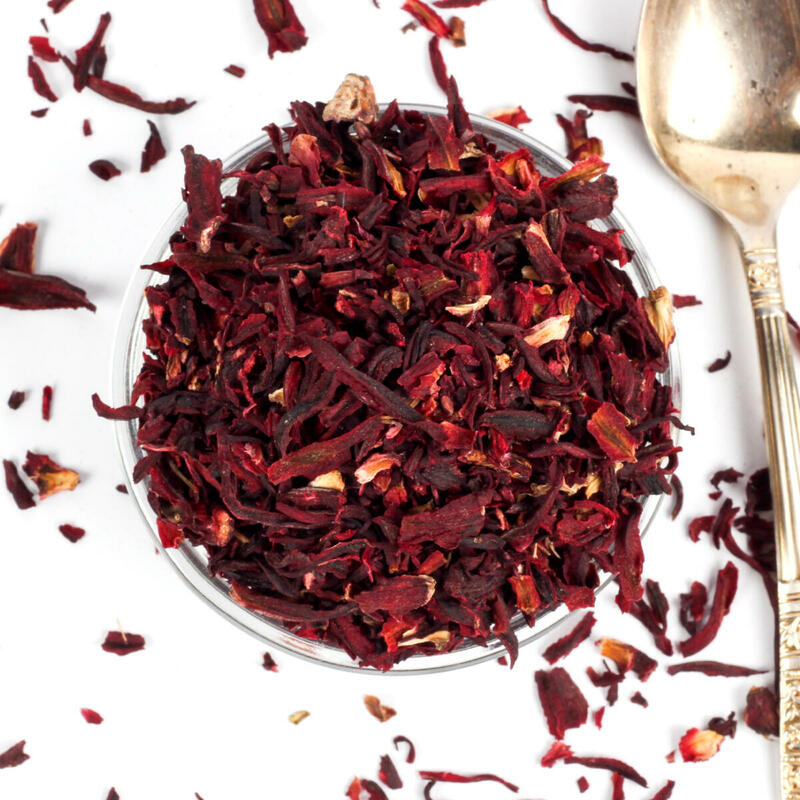 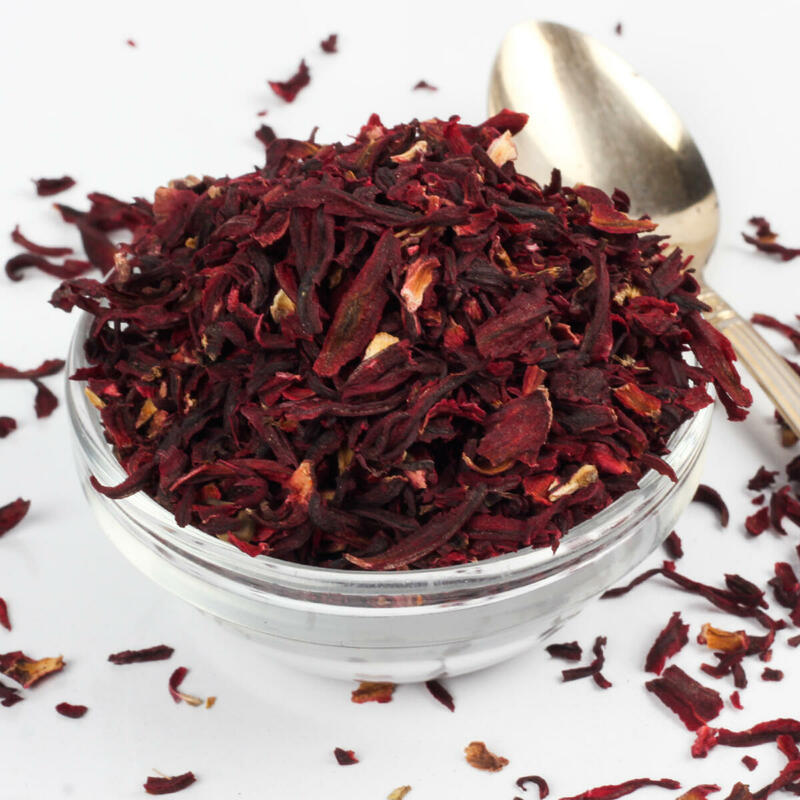 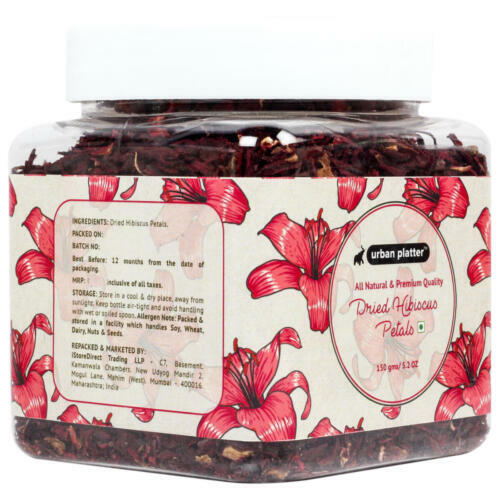 Dried Hibiscus Petals impart a cherry red colour and tasty tart flavour. Makes fantastic teas, drinks, tonics and cocktails - combines greatly with other spices, herb and fruit juices. 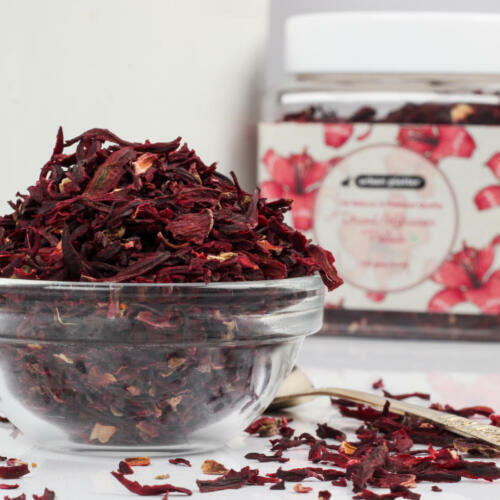 Bakes superbly well into bread, cakes, tarts, desserts and dishes of all kinds. 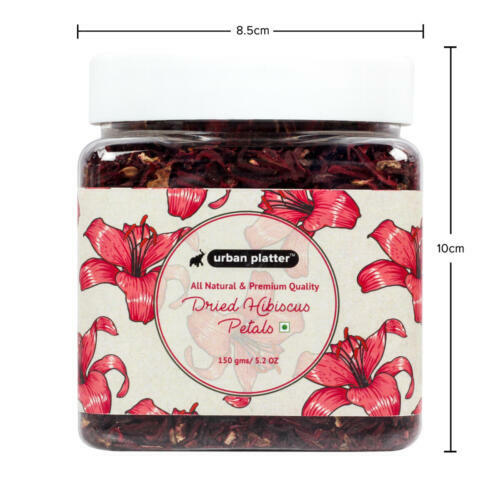 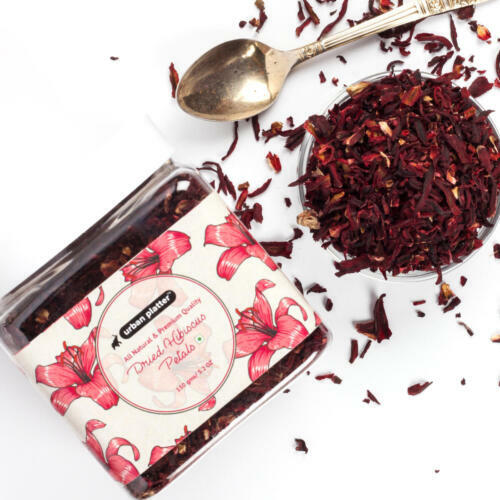 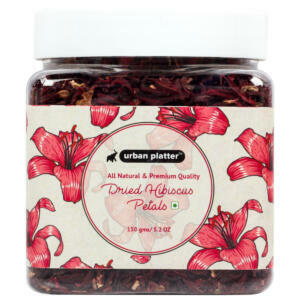 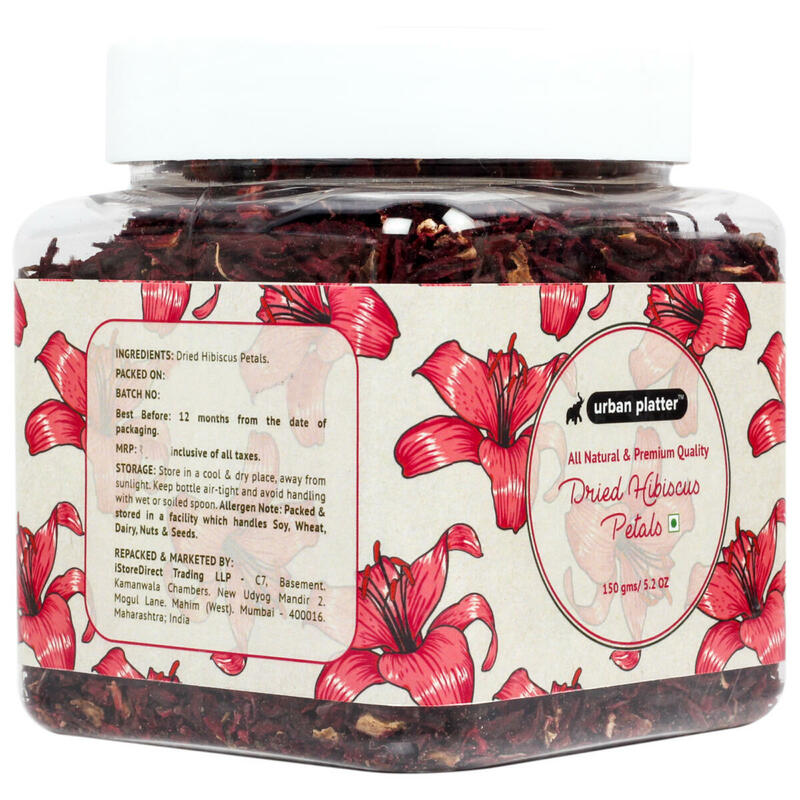 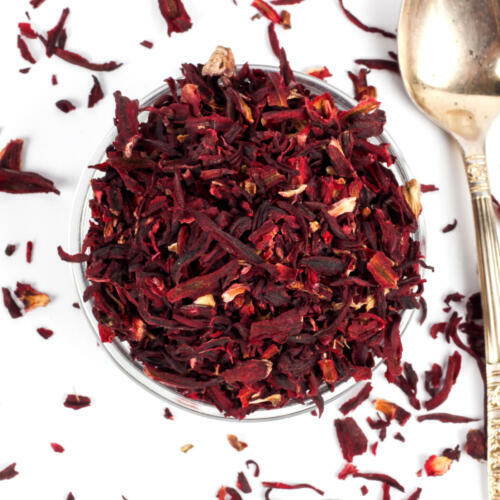 Urban Platter Dried Hibiscus Petals, 150g / 5.2oz [All Natural, Premium Quality, Herbal Tea] Dried Hibiscus Petals impart a cherry red colour and tasty tart flavour. 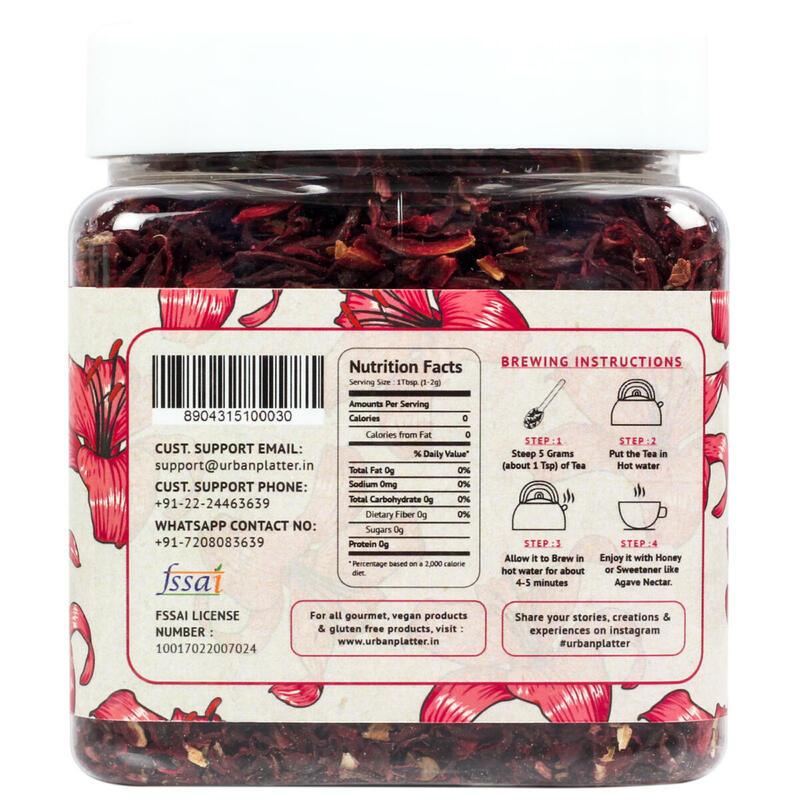 Makes fantastic teas, drinks, tonics and cocktails - combines greatly with other spices, herb and fruit juices. Bakes superbly well into bread, cakes, tarts, desserts and dishes of all kinds.